With more and more VRBO and AirBnB websites and the like, people are getting a little more picky as to their vacation rentals. 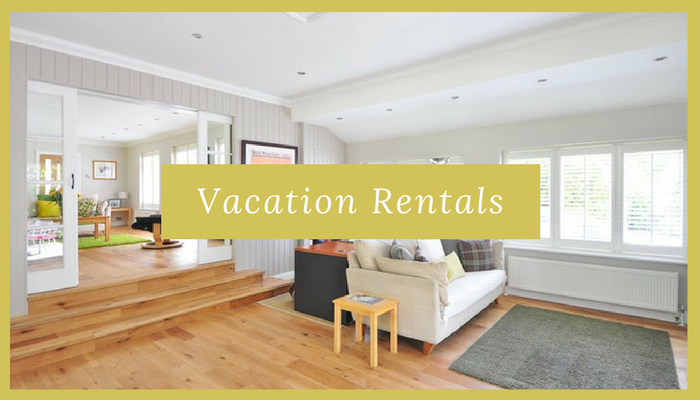 If you have a vacation rental in the Palm Desert, Palm Springs or surrounding communities, you might want to consider putting in a little bit more elbow grease in updating your home to appeal to a wide range of vacation renters. Here are some great a home improvement features a vacation rental should have. Renters don't want to struggle to try to get into the property. You certainly don't want renters to be frustrated to start off their vacation. Installing a lockbox is one of the most convenient upgrades and a simple solution rather than hiding a key in the planter, above the doorframe or some other obscure place. Plus, you won't have to worry about anyone finding the key accidentally and breaking in. Many renters may show up late at night, and if they have to hunt around in the dark for a hidden key, it makes the start of their vacation a negative experience. Read More: How much do I need for an investment rental? #2. Make the bedroom the ultimate relaxation spot. Vacation is all about relaxation and even though the rest of the house should be relaxing, the ultimate relaxation station should be the bedroom. There's nothing more soothing and calming than a relaxing master suite, soft bed, and plush linens. Choose a high-quality mattress, attractive, durable and comfortable bedding, and don't be cheap on the pillows and sheets. The should be of the highest quality to make renters rave about them for years (or at least on a review site). #3. Don't neglect an inviting outdoor space. An attractive outdoor retreat can secure a lot of bookings. Especially for a place like Palm Desert, we pride ourselves on being relaxing and enjoying our sunny, dry weather. Consider upgrading the outdoor living space with the kitchen, dining area, and maybe even an outside TV. Small additions like comfortable Adirondack chairs, fire pits, or a carefully landscaped design can improve the properties appeal greatly. Don't forget to showcase the outside in your photo gallery. While many people may not even use the kitchen on vacation, it is something that should not be neglected. Most of today's travelers are used to the convenience of a dishwasher, icemaker in the refrigerator, and a toaster oven and/or microwave. Even if people don't use these items, the subconscious idea that they are there and can be used is appealing to a lot of vacationers. Make sure your cabinetry, colors, and appliances are updated. Older, nonworking appliances simply don't make the cut. Just as the bedroom is a soft and relaxing retreat, the bathroom should be a perfect place to unwind, refresh, and feel rejuvenated, whether you're going to bed or going out for the night. Some great ideas to consider implementing into your bathroom could be luxury showerheads, flattering lighting, soft gray or taupe paint colors, plenty of counter space, heated floors, fresh towels and linens, and a basket of toiletries. This small, simple touches can really add more appeal to your vacation rental prompting more visitors and more vacation income in your pocket. If you're currently in the market for vacation rental property throughout Palm Desert or Palm Springs give me a call. I have a lot of great ideas and can help you find the perfect home for your needs and your budget.